Over the past few years I've found that I work best under pressure; I need deadlines and commitments to work efficiently. At the beginning of each week I set myself a schedule of what I'd like to accomplish, on which day. 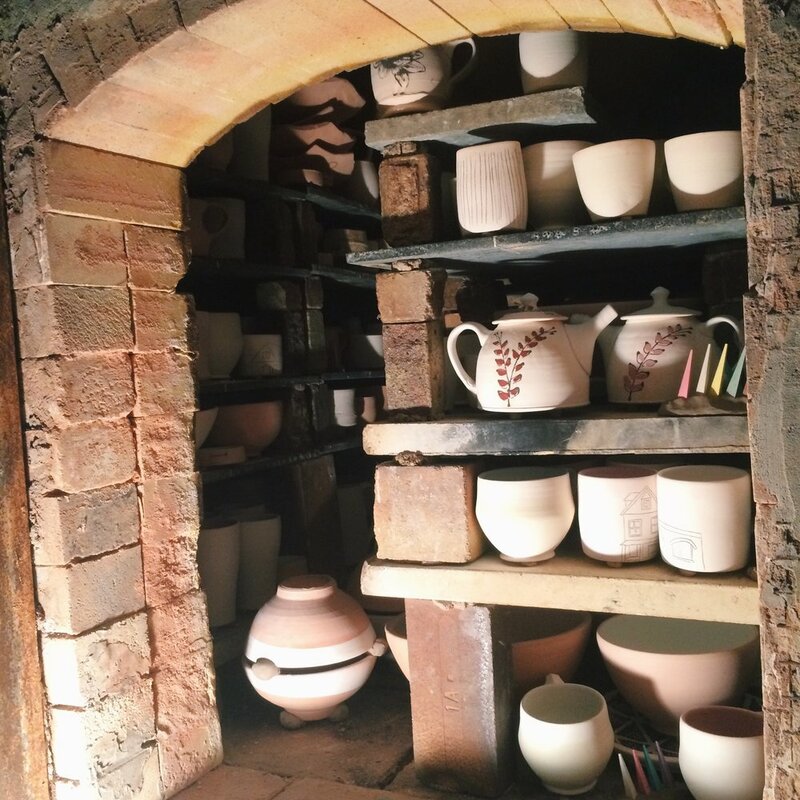 It's wood firing season, and with a woodfiring on the horizon, time management becomes imperative. For each firing I plan the days I will sand and glaze, when I need to get my last bisque firing in, and how much time it will take for pieces to dry. This planning activates a side of my brain that I really enjoy using – I feel joy while filling out calendars and date books. Last week I unloaded work from my fourth firing this year, and will be loading my fifth this Saturday. While I still need to sand and wash the pieces we just unloaded, I am instead pulling handles on cups and jugs, finishing up details on prototype vases, and adding rims to serving dishes for the firing coming up. Studio life is a constant balancing and juggling act – one that I am starting to get comfortable with. While one tray of bowls dries you throw creamers. While the creamers are drying you roll out slabs to get them stiffening and then start to trim your bowls. When the slabs are stiff enough to work with you build the walls for vases and slowly dry them while you finish the creamers. On it goes, a carousel. Here are some photos of the pots that came out of last week's firing. It was my first time leading a firing in the Manabigama, and was delighted to have a great time of eager potters who wanted to learn about firing with wood. The pots turned out delightful. Fall is upon us, and winter is approaching. 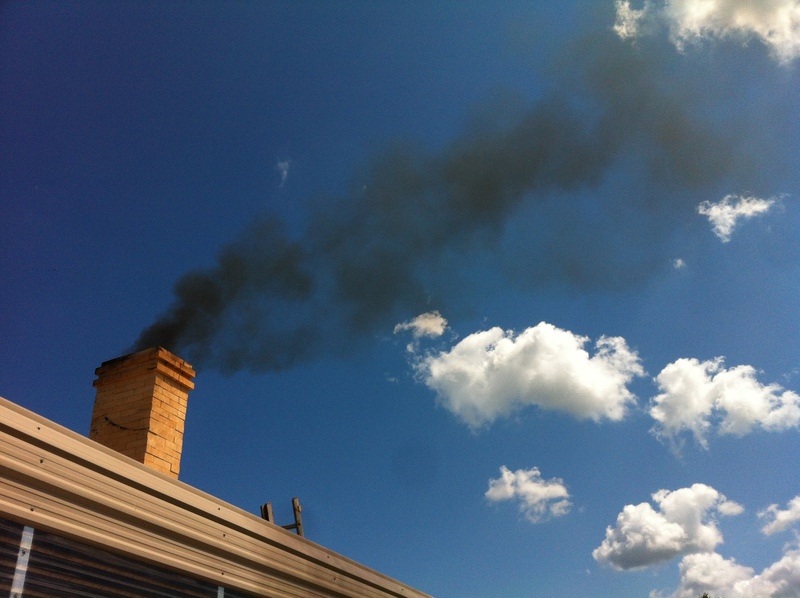 This means a decrease in wood firings until the weather picks up again: nobody wants to load a wood kiln in -30C. Last week I had my second firing at the Hamilton Potter's Guild Manabigama (I lovingly like to call him "Manny"). It was also my last firing in that kiln for the season. At the end of August, I fired it for the first time with four lovely women - two of whom I knew from Sheridan. The first time you fire any woodkiln, you can't expect much. With each firing there is so much to learn about the path of the flame, the hot and cold spots, how to reach temperature at an efficient, but steady pace, and which glazes look good where, if at all. But after seeing the results from that first firing, I was convinced I needed to fire this kiln again. So, I participated in the second firing last Friday, with the hopes of reproducing some of the nice effects that I received the first time around. There were four of us on this firing, and the weather was perfect - cool in the morning, and warming up as the day went on. 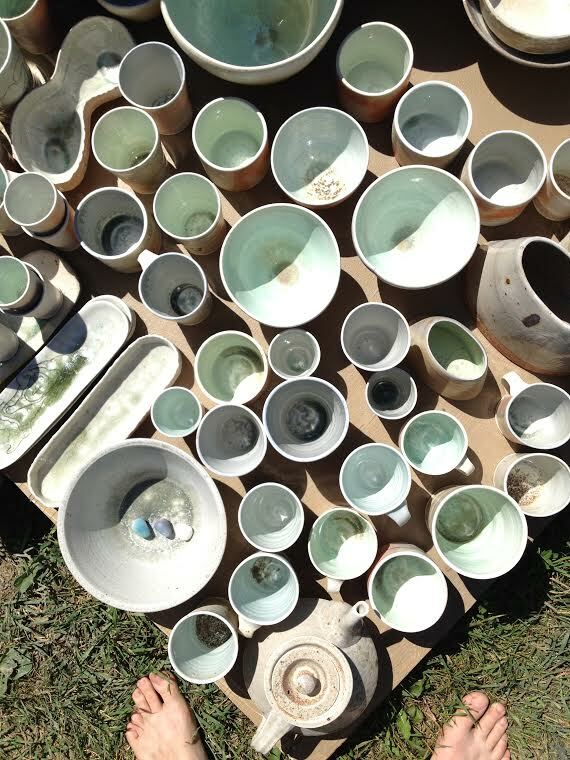 It was a beautiful day to be outside firing a kiln. The results, as always, were varied. I ended up with a couple racers, several so-whats, and of course, some seconds. 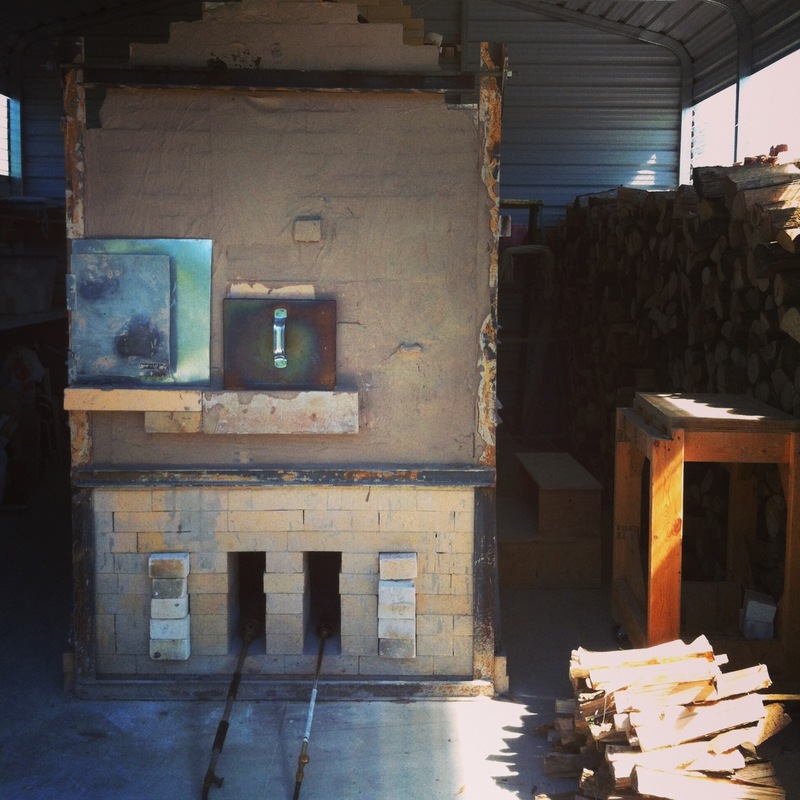 The beauty (and sometimes the trouble) with wood kilns is how unpredictable they can be. It is common to end up with a lot of seconds, and you can only bank on getting a couple FANTASTIC pieces out of each firing (if any). I was lucky to be content with most of the work, though many pieces I need to re-fire. 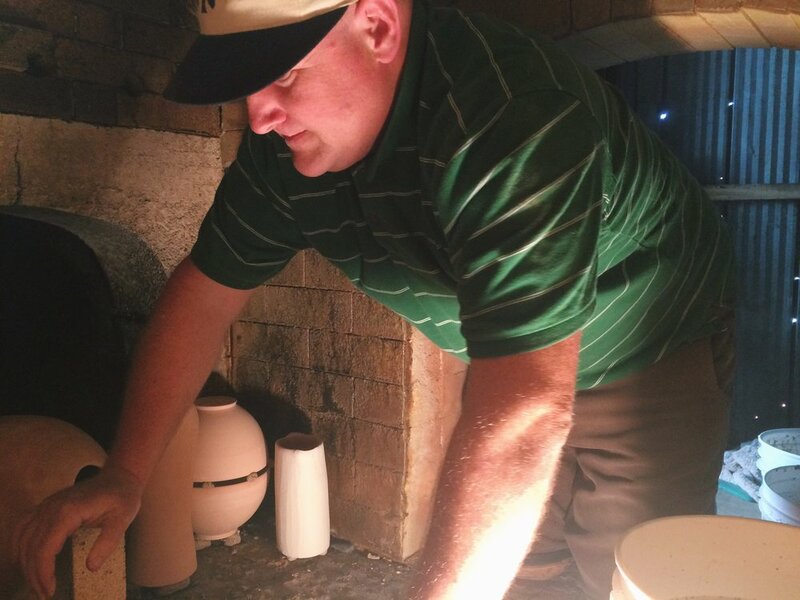 The end of the Manabigama season has come to a close, but I'm still helping Marcelina Salazar fire her soda-wood kiln. The next firing is the end of October. Until then, I'll make more pots. I adore atmospheric firings, and the pieces that come out of them. 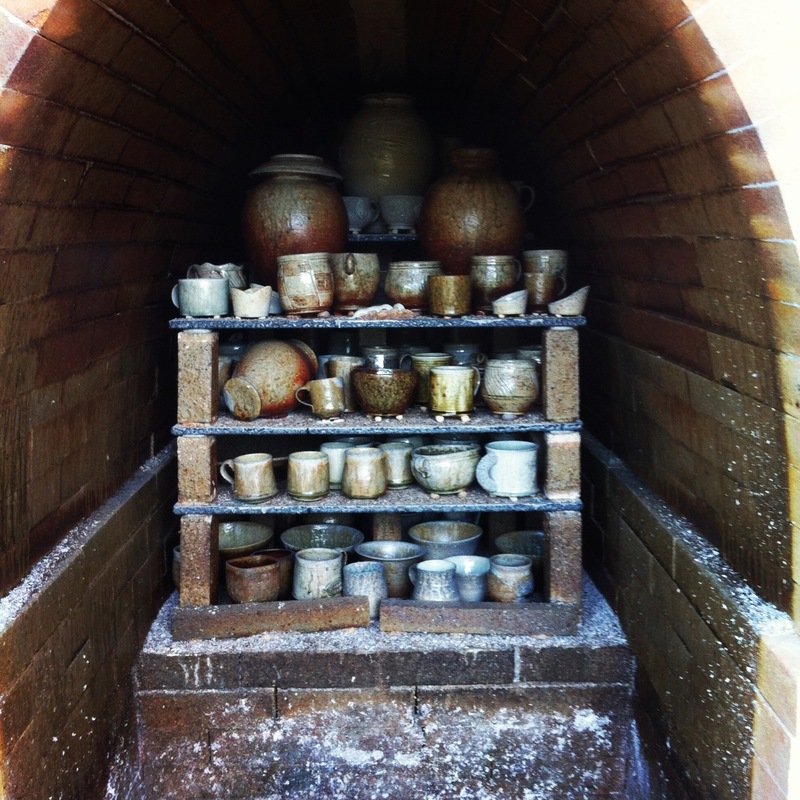 These special kilns create a certain type of magic that no electric kiln could ever dream of. The wood kiln leaves deposits of ash in the bases of bowls, and leaves fire marks from where the flame licked across the pot's surface. Salt and soda attack the surface of the clay, leaving orange-peel speckling and a variety in colour and tone. While loading them with pots, there is a fleeting sense of anxiety, as the results will depend on the will of the kiln gods. One of my favourite marks from atmospheric firings are the tell-tale "doofer" (or "wadding") marks. Doofer is a mixture of highly refractory materials that will not sinter at high heat. Due to the extreme conditions of atmospheric firings, everything in the kiln (including the kiln shelves and posts) need to be stacked onto little rolled up balls, in order to keep the pieces from fusing to the shelves (destroying the pieces, and the kiln furniture) and the furniture from fusing to each other. The doofer lifts the pieces up off the shelf, so the space underneath is exposed to licking flames, and drifting soda/salt vapours. This leaves behind little marks where the clay was not exposed to the atmospheric conditions. 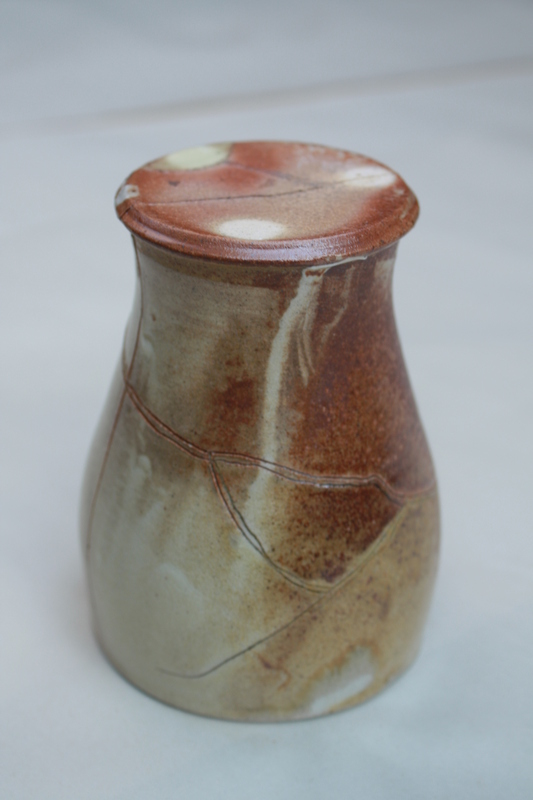 While photographing some of my cups today, I was reminded of my love for these little hints of process, heat, and air. 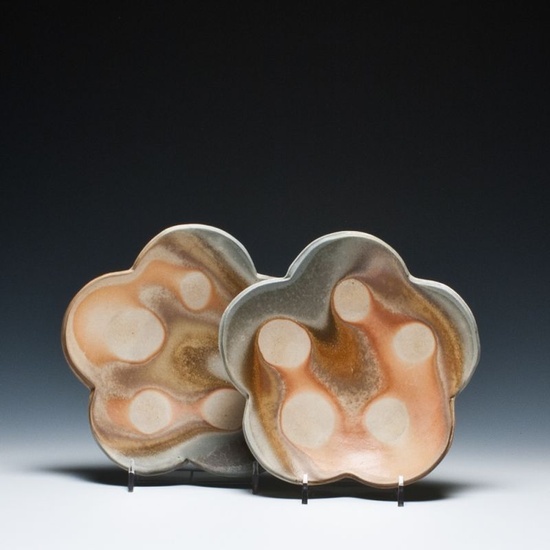 I can't wait to join Marcelina Salazar in her wood-fired soda kiln so I can get some more pieces with lovely little marks.